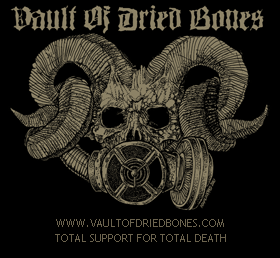 Released on vinyl in the fall of 2013 by Parasitic Records and Iron Bonehead Productions, this flesh ripping EP hailing perversion and blasphemy is finally available on compact disc through Vault Of Dried Bones. Satanic debauchers Weregoat have made this design available once again. Show your support.